After the clobbering it received during the Great Recession, the Dubai real estate market is now fully set to surge ahead. Tower cranes are once again swinging their long jibs leisurely through the city’s airspace while underneath apartment buildings, malls, hotels and office blocks take shape. The continuing uncertainties in Europe and the Cyprus banking crisis turned jittery investors to the city state which saw capital inflows increase to pre-crisis levels. Stock brokers in both Dubai and nearby Abu Dhabi are reporting a return to daily trade volumes of around $1.5bn, up from barely $100m at the height of the recession. “It also helps that Dubai is perceived as a safe haven. We have been spared the upheavals of the Arab Spring. This political stability drives inward investment,” says Rohit Walia of Alpen capital. Real estate is doing particularly well with rents for prime office space recovering steadily. Demand for residential and retail property is picking up as well. However, the market is experiencing a “flight to quality” which sees secondary and older buildings struggle to recover rental yields. A number of eye-catching new developments offer solid proof that investors have regained their confidence. The hugely ambitious Mohammed Bin Rashid City – MBR City for short – is about to take off and keep developers busy. No less than a hundred new hotels will be erected together with a theme park by Universal Studios and the world’s largest shopping mall. A 40 acre swimming pool – another “world’s largest” – is to complete the picture. On an only slightly more modest scale is the $1.6bn Bluewaters Island Project announced by Meraas Development. Just opposite the famed Jumeirah Beach Residence complex, a man-made island is to accommodate villa’s, apartment towers, hotels, shopping arcades and a veritable plethora of entertainment facilities including the Dubai Eye which is to become the world’s largest Ferris wheel standing a full 210 metres tall and costing well over $200m to build. Against this backdrop of confidence regained and a crisis overcome that the 12th edition of Cityscape Global is to take place at the Dubai World Trade Centre from October 8-10. Over 200 local and international exhibitors are taking part. This strong demand has necessitated an expansion of the event’s premises to include two additional exhibition halls. Cityscape Global director Wouter Molman confessed to being “rather overwhelmed” by the strong demand for exhibition space: “The event is now back to where it was before the crisis struck. This year’s event is not limited to the showcasing of real estate developments. Three other conference programmes run parallel to Cityscape Global: the Global Real Estate Summit, Future Cities and the MENA Mortgage and Affordable Housing Congress. By joining these exhibits and congresses, the Dubai Land Department aims to have the city state host one of the world’s premier and most momentous real estate events. Construction-driven growth is not just a luxury for Dubai and the other Gulf Cooperation Council (GCC) countries. According to a recently published United Nations report, by 2020 Arabian Gulf cities will house fully 85% of the regional population. 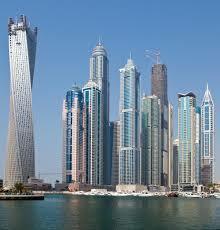 The GCC will boast over 45 million city dwellers in seven years’ time, an increase of almost 25% over the 2010 numbers.